Today, we decided to throw out some thoughts about one of our favorite observations about the state of leaving this world, as stated by the one and only Hunter S. Thompson. If you’d never had the strange, yet weirdly fascinating enjoyment of reading any of Mr. Thompson’s works, you may miss this point. 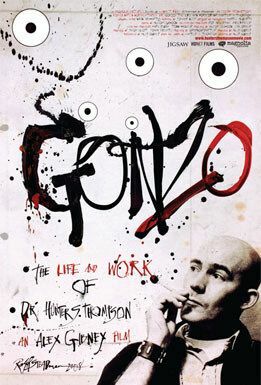 For those who are familiar with this “Gonzo” journalist, you may understand how difficult it is too aptly describe a man so complex, so completely ridiculous, so funny…the sad thing is, we wonder: did he really live up to his own ideal of leaving his human existence, his body, in the way that he believed one should? Our favorite work of his, “Fear and Loathing In Las Vegas“ allows us to understand that the man enjoyed partaking in the trials, and adventuresome errors, of a variety of mind-bending chemical substances; by getting this excellent voyeuristic tour of such madness, we were able to come to the conclusion that perhaps, yes, he did indeed leave the earth as he described he would or wanted to. Unfortunately, for those who saw so much more in his work and in him as a person, he left us in a way that may or may not have been surprising, but still left us grieving, no matter: he died by suicide. And yes, we felt it was a pity. But we cannot know the tortures that pursued the man’s personal thoughts, feelings, or decision in the end that brought him to the ultimate moment…the moment he chose to squeeze the trigger and bring down the final curtain. So we do not judge. 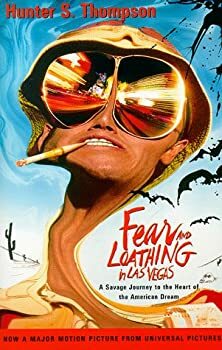 We do hope that if you haven’t had the pleasure yet, check out a copy of “Fear and Loathing In Las Vegas” — if nothing else, you’ll find yourself laughing so hard, you may draw strange looks…and if you can’t find the time to read, the second option is the movie by the same title. This entry was posted on February 8, 2014 at 3:21 pm and is filed under Celebrities, Death, Grief, Humor, Life, Memorialization, Musing, Remembrance, Thought For Today, Tragic death with tags depression, Drug abuse, Fear and Loathing in Las Vegas, Gonzo: The Life and Work of Dr. Hunter S. Thompson, Hunter Thompson, substance abuse, suicide, Wikipedia. You can follow any responses to this entry through the RSS 2.0 feed. You can leave a response, or trackback from your own site. I’ve heard of the book but have never read any of Thompson’s work, so I think I will check it out. Thanks for a lovely post my friend. The life of Hunter S. Thompson does sound fascinating though tragic, but I would like to check out the movie about his life. Take care and God bless. Well Samina, I daresay this selection wouldn’t have been entirely about his life, but it would give you a good idea of what one of his journalism jaunts to a writer’s convention in Las Vegas was like…only HIS was stoked with plenty of grand delusions of the drug-induced type to the point of utter hilarity. Nothing I’d recommend trying at home! Haha! Unfortunately, I have to think the hard drugs and booze left their mark on him with the depression he suffered in his later years, when he eventually decided to take his own life. But that book sure was funny! I highly recommend it! Or see the movie. I’m sure you and Morguie won’t have to answer that.